Zephyr Cove Snowmobile Center offers South Lake Tahoe’s only lake view snowmobile tours. 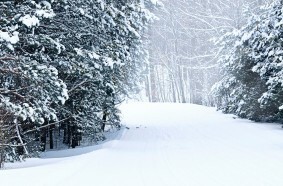 Snowmobiling tours will take you through mountain meadows and towering pines to an elevation of 9,000′ above sea level. Whether you are a novice or a seasoned snowmobile, these tours are designed for everyone, but are not recommended for kids under four years of age. Zephyr Cove Snowmobile Center offers one of the largest snowmobile tour centers in the country. They maintain a fleet of 90+ current snowmobile models like Yamaha and Ski-Doo so your ride is on top-notch equipment. Have peace of mind you are riding a state-of-the-art snowmobile with safety features. Zephyr Cove Snowmobile Center offers expert guides and grooming equipment to maintain the snowmobile trails. Weather permitting their tours depart morning and afternoon. Lake Tahoe is the perfect place to take explore the great outdoors while getting the “juices flowing” on an exciting snowmobile tour.